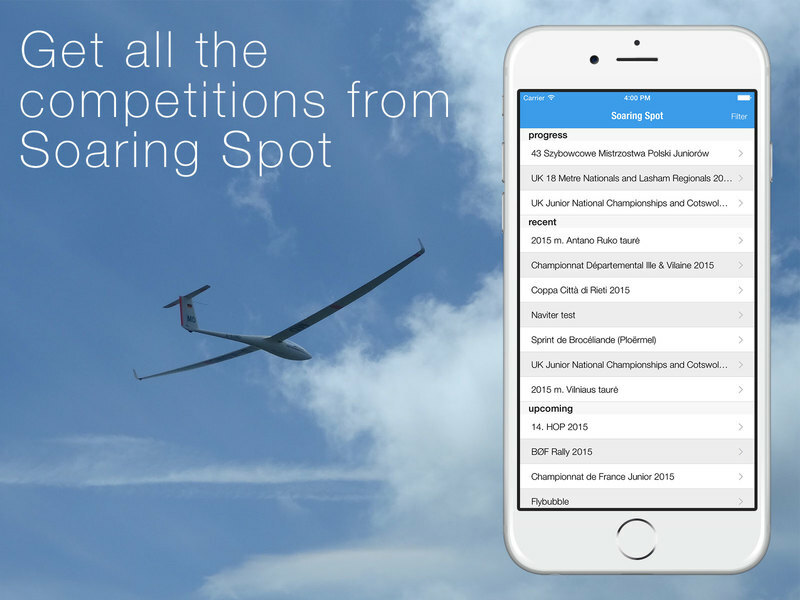 Spoty Check out the competition results from Naviter's Soaring Spot on your iOS device. 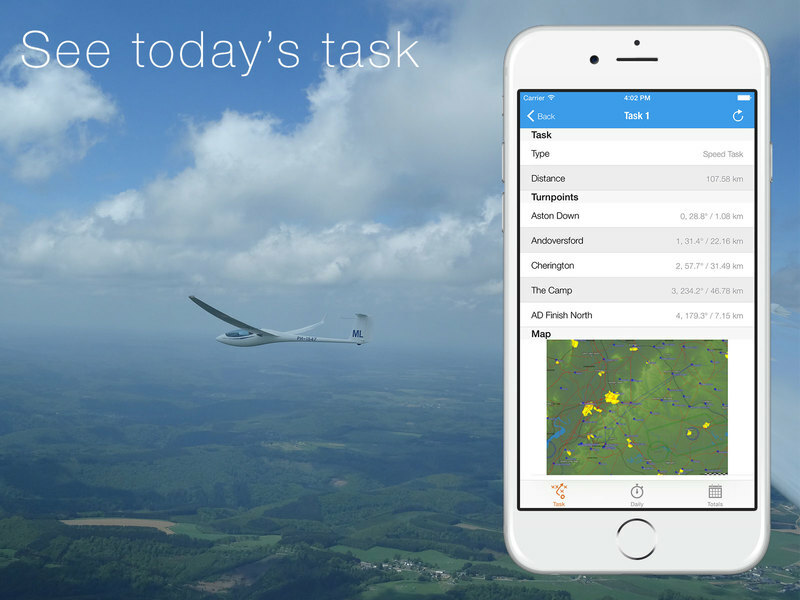 You'll be able to look at the task, the daily results and the total results for each day and each class. 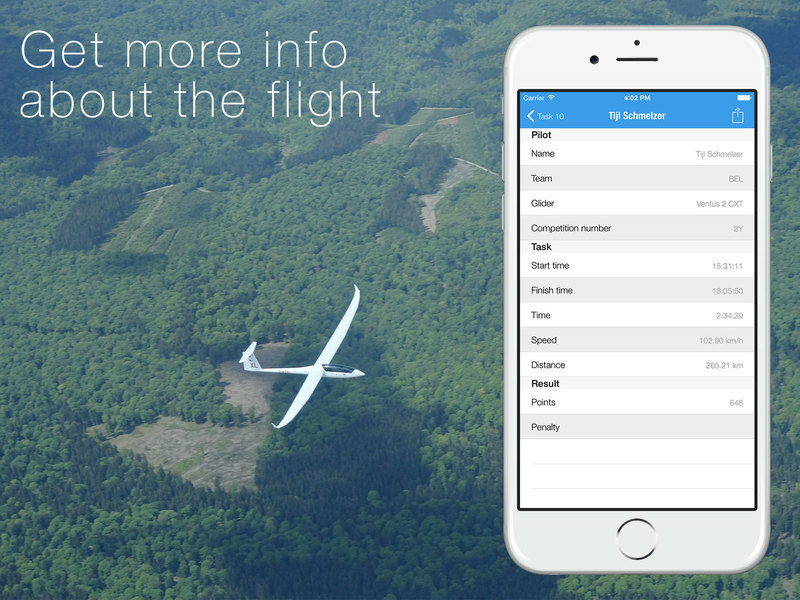 On the daily results page you'll be able to take a closer look at the flight details. I also have a public API that everybody can use. I hope you enjoy it! You can try it out here. Rotate the device for more information. Search the results for a pilot. 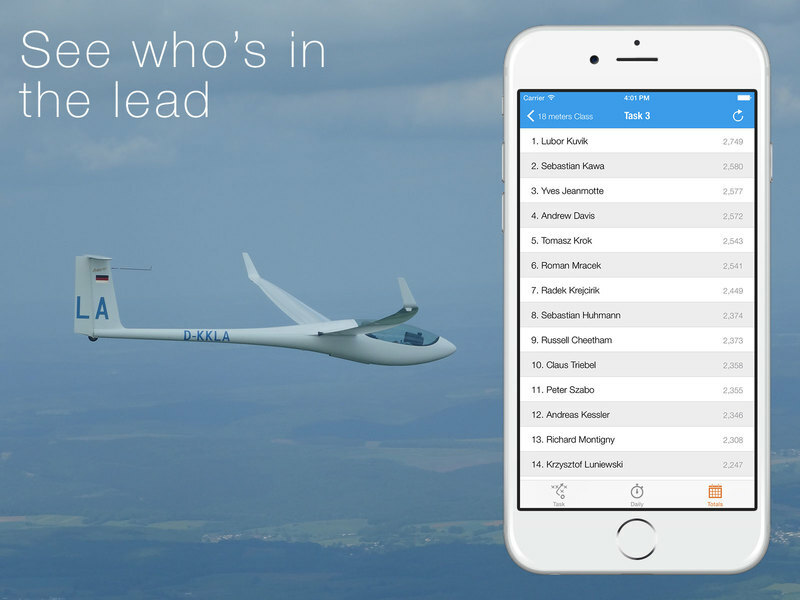 Shows the daily and total results. 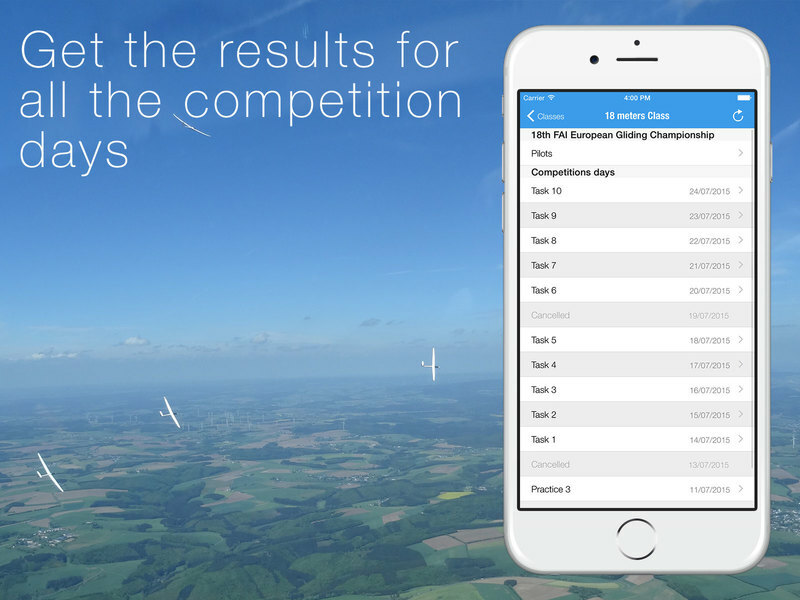 Filters the competition list to get the competition you want.